I don't know if it's the Holiday spirit kicking in but I've really been into red nail polish lately. Today I promised a dear friend I'd post Chanel Rouge Carat so I hope you'll all enjoy this review too! 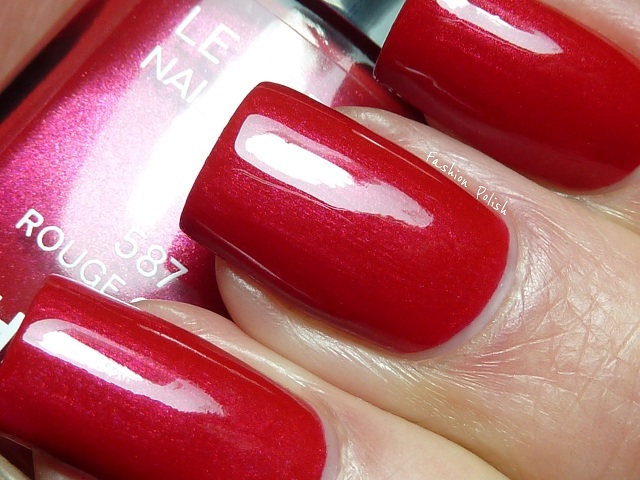 Rouge Carat is a beautiful medium red infused with pink shimmer. In low lighting the shimmer isn't very visible but gives a nice glow. Formula was just perfect, nice and smooth, I only needed one careful coat on the pics below. 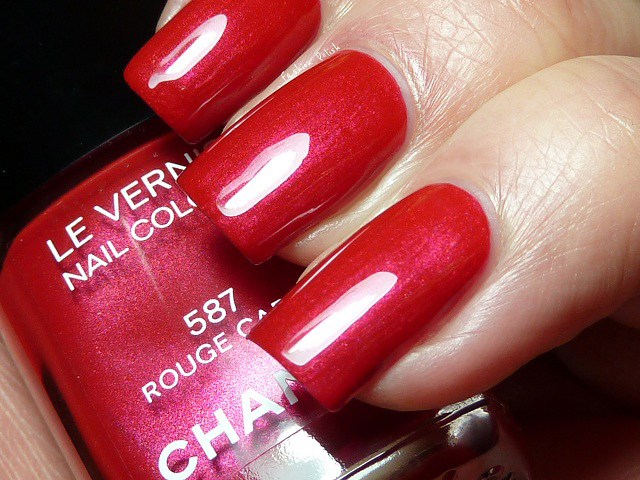 Although there must be tons of cheaper alternatives for Rouge Carat, I love it and yet at the same time I'm really sad that Chanel only included one nail polish, red, in its Holiday collection. Where are the glitters? The effects? The originality? So beautifull,but there's nothing special. How do you get your manicures to look so stunning? 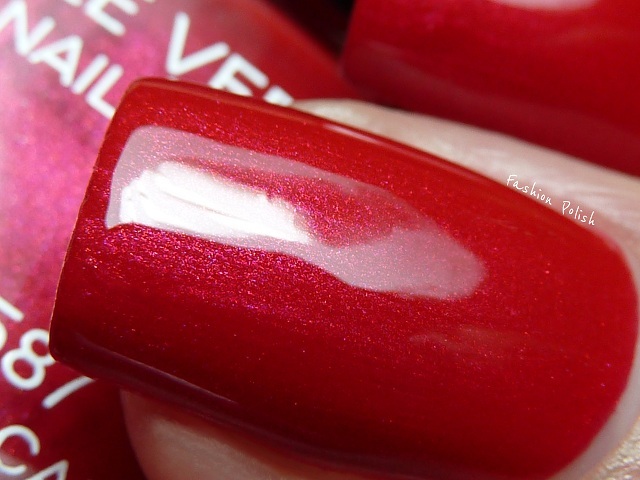 Even in the macro shots theres no stray clumps of polish on your cuticles. Unoriginal, yes but still a gorgeous red shimmer! Besides, who can resist Chanel? This is beautiful but I agree; one red is a holiday "collection"? Nuh-uh. I would have loved to see glorious, silky glitters and dancing holographics. Both of which Chanel is certainly capable of producing. Wow, I'm in love with this one! It is very pretty, but indeed not very unique. Might be hard to justify the €22,- pricetag. I am not buying it although I love red! it has a nice shimmer. I like it. it is elegant! SUCH a pretty red! Love the pink shimmer! Oh, I love my Rouge Carat! I guess the red colours spring to heart during the colder months. But yes, I would have loved a golden or taupe colour in the noel collection as well. On another note, how do you zoom in so much and keep it focused? Is it a spcial lense or a manual set-up?